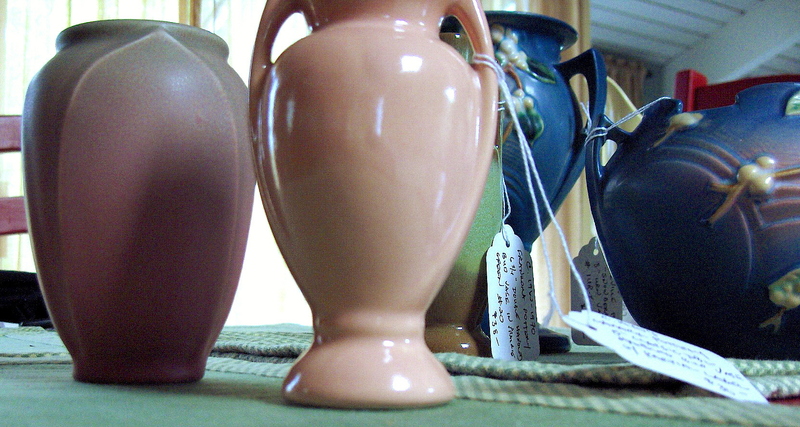 Billy Blue Eye is pleased to announce the acquisition of several vases and centerpieces from many of your favorite potteries, including Rookwood, Camark, Brush-McCoy, Frankoma, Roseville and Catalina. 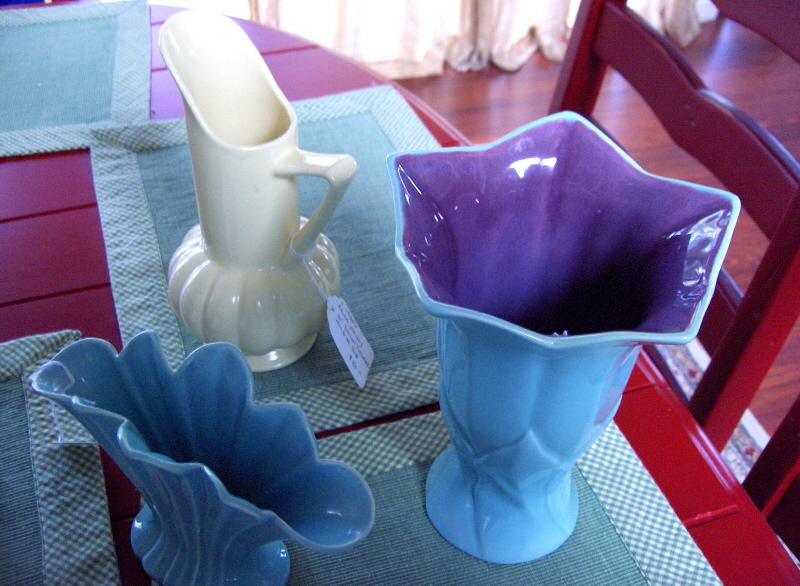 All of these beautiful pieces will be on display this Sunday, May 15th at the Long Beach Antique Flea Market from 8 A.M. to 2 P.M., booth A853 (our regular location.) Of course, we can’t guarantee availability so get there early or drop us an email and let us know what pieces have caught your fancy! The Long Beach Antique Flea Market is located at the Veteran’s Stadium parking lot, just north of the Long Beach Airport on Lakewood Blvd. at Conant Street. See you there! From left: Rookwood, Camark, Frankoma, Roseville, Brush McCoy, Camark & Catalina. From left: Rookwood, Camark, Roseville. From left front: Camark and Catalina. Back Brush-McCoy.